The Centre offers summer fellowships for two months to bright undergraduate and MSc students studying in India. This programme has proved to be popular and competitive; each year, about 2000 students from all over India apply for the ~80 fellowships awarded. All the fellowships are supported by the Department of Science & Technology, Government of India. 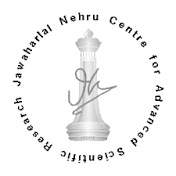 Students are placed with research groups at JNCASR or with scientists elsewhere in India. They are paid travel expenses and a monthly stipend of Rs.10,000/-. Selected students get the opportunity to participate in cutting-edge research, and several summer projects have led to publications in leading journals. Many of the summer students of past years have gone on to pursue graduate studies and a research career, at the JNCASR or at another leading university. Life Sciences: Infectious and non-infectious diseases, bioinformatics, developmental biology, biochemistry, molecular biology, immunology, genetics, life-history evolution, circadian biology, animal behaviour, behavioural ecology, evolutionary genetics, experimental evolution, population dynamics, phylogeography, neurophysiology, behavioural neurobiology and behavioural genetics and cell biology. Materials Sciences: Nano sciences, energy and green materials. Chemical Sciences: Solid state chemistry, theoretical and computational chemistry, organic, physical and inorganic chemistry, organic and asymmetric synthesis, medicinal and bio-organic chemistry, polymer chemistry, supramolecular chemistry and chemistry of nanomaterials, renewable energy and healthcare related materials chemistry. Physical Sciences: Condensed matter theory and experiment, statistical physics, semiconductor materials physics, biophysics, nano physics, organic electronics, computational materials science, soft matter, semiconductor interfaces, heterostructures, physical metallurgy and transmission electron microscopy. Engineering Sciences: Computational fluid dynamics using mesoscopic simulation techniques, dynamics and rheology of complex microstructured fluids including suspensions, emulsions and polymer solutions, flow of granular media, Active matter, Hydrodynamic stability of Newtonian and viscoelastic fluids, high Reynolds number flows and turbulence, non-linear dynamics and chaos, vortex dynamics, heat and mass transfer, geophysical fluid dynamics, microfluidics, acoustofluidics, and microgravity science. Students who have secured not less than 80% in Maths and Science subjects in their 10th and 12th standard or equivalent examinations, and not less than first class in graduation and post graduation (if applicable). Students presently studying in I and II year of B.Sc., I, II & III year of B.S., I, II & III year of B.E. /B.Tech., I year of M.Sc., and I-III year of Integrated M.Sc. can apply for Life Sciences. Students presently studying in II & III year of B.Sc., II, III & IV year B.S., II, III & IV year of B.E/B.Tech., I year of M.Sc. and I-III year of Integrated M.Sc. can apply for Physical Sciences, Engineering Sciences and Mathematics. Students presently IV year of BS-MS, I year of M.Sc. and IV year of Int. M.Sc. can apply for Materials Sciences and Chemical Sciences. The students selected under this programme are placed with scientists at the Centre or elsewhere in India, for 2 continuous months with a stipend of Rs.10,000/- p.m and travel support as per Centre’s norms. Detailed information and application form can be downloaded from http://www.jncasr.ac.in/fe/srfp.php . The filled in application form with attested documents should reach the address mentioned below latest by. Jakkur P.O., Bangalore  560 064. Selected candidates will be intimated by 28th February, 2019 and the list will also be available on the link mentioned above latest by.